It’s been a while, I know. Life is very busy and I’m finding my hobbies are being put on the sideline and up until now I haven’t made my blogging a priority which I feel sad about, but I’m not giving up just yet, I still have things I want to share with you so I hope you continue to read. 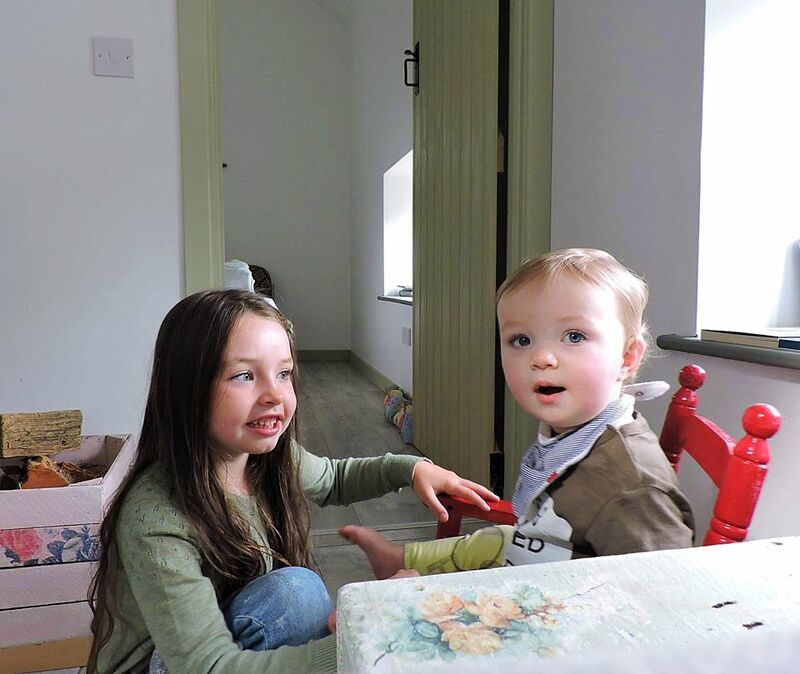 In August we decided to book a couple of nights away before Olivia started back at school. 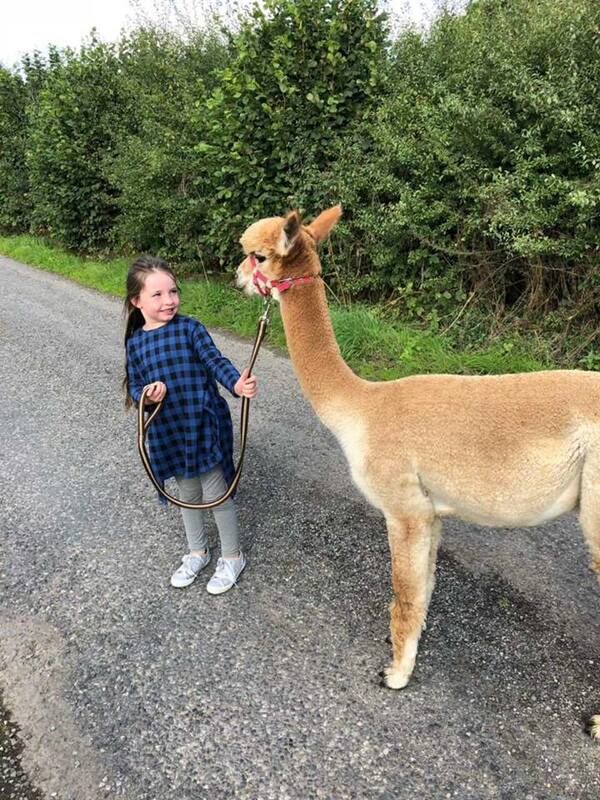 As I browsed through airbnb for the first time, searching your typical accommodation choices, I remembered reading about a beautiful Alpaca Farm in Co. Laois. The owner Liz is a fellow blogger and she shared beautiful photos of her newly renovated cottage in an online group that we’re both in. It was dreamy and idyllic and right up my street. 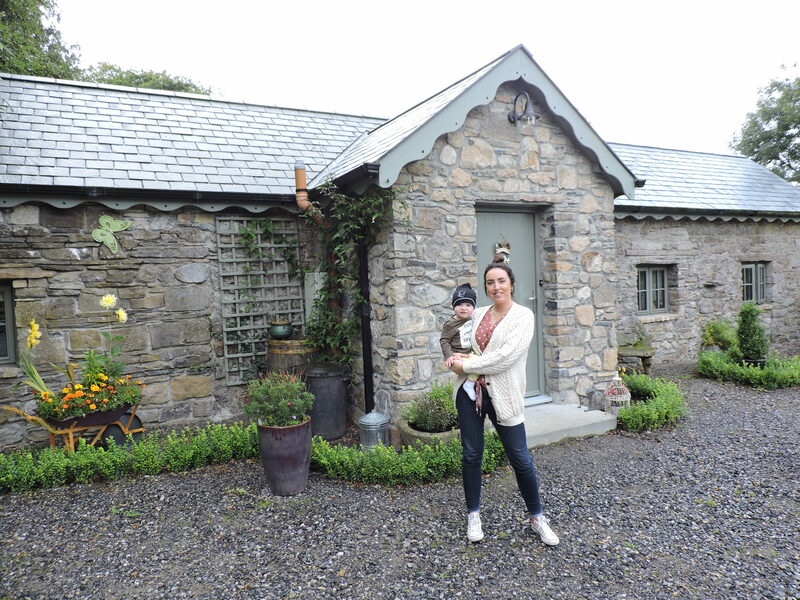 I’m a lover of both the countryside and animals so having the opportunity to stay here was a winner for me and I knew Olivia would feel the same. 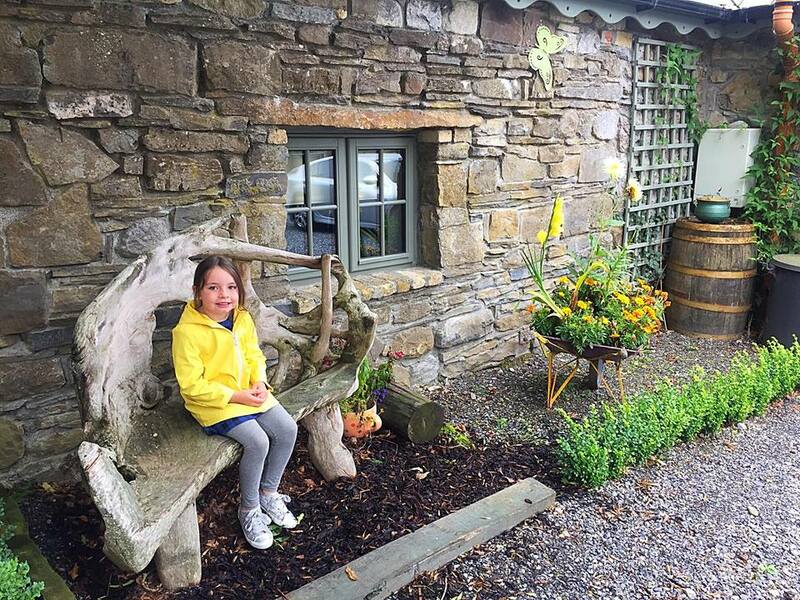 Driving up the quiet country lane to see the beautiful farmhouse in real life was very exciting. It was even more beautiful than in the photos as the whole location on the foothill of the Slieve Bloom Mountains lends itself to the beauty. I was envious of where the McDonnell family live from the get go. As we started to unload our car we were greeted by Liz’s husband Paul and their children. 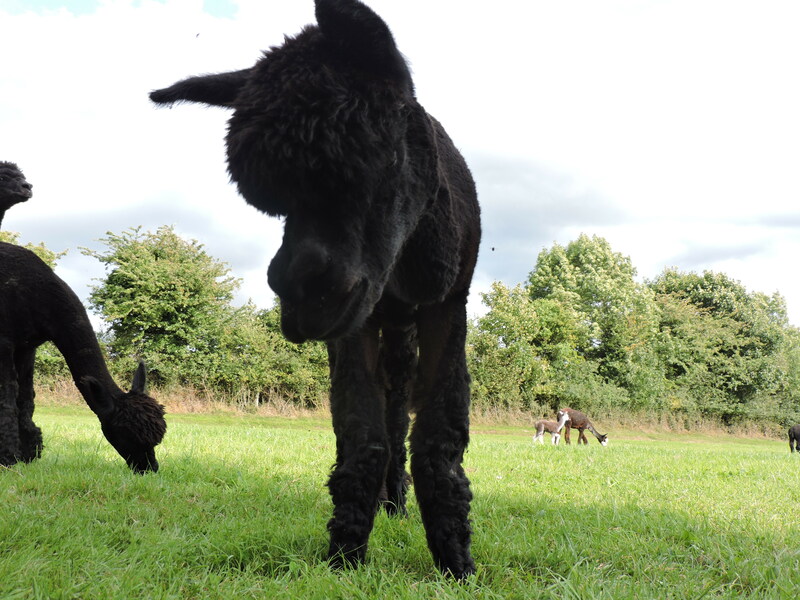 They were super friendly and welcoming and immediately Paul answered some of my alpaca questions and he kindly brought us across the road to where some of them were grazing in the field. They are unbelievably cute and were extremely curious of the new visitors. I couldn’t wait to have a closer look but there was unpacking to do first! Paul gave us a tour of the beautiful 2 bed cottage perfectly laid out with everything we needed. 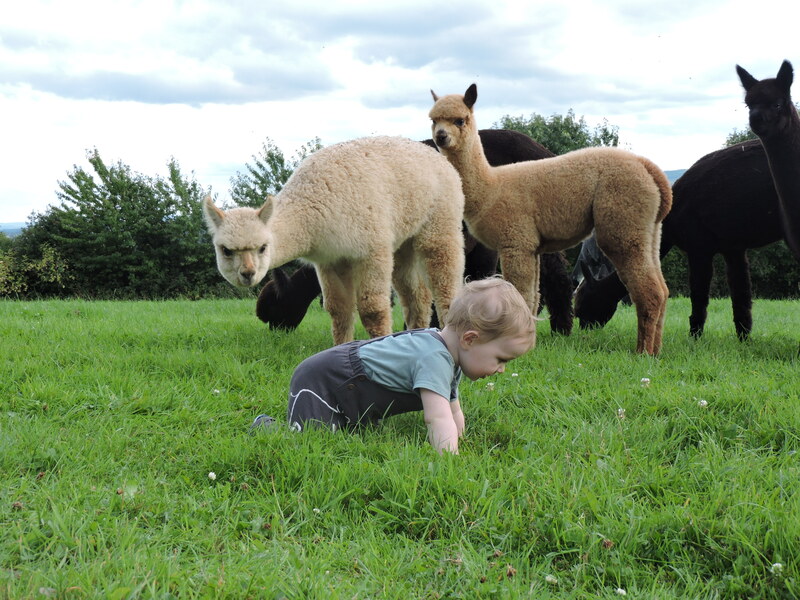 Once we were unpacked we went back out to meet more of the Alpacas. 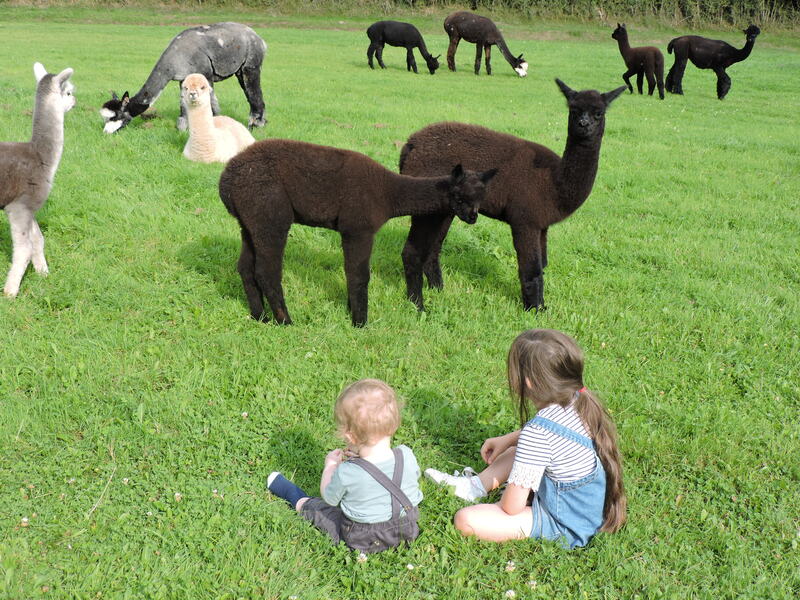 We were free to wander the paddocks and fields at our own leisure and as it’s a working farm, the family were never too far away if we had a question or two! The McDonnell kids were very well informed too and they often tagged along with us telling us all about their farm and furry friends. 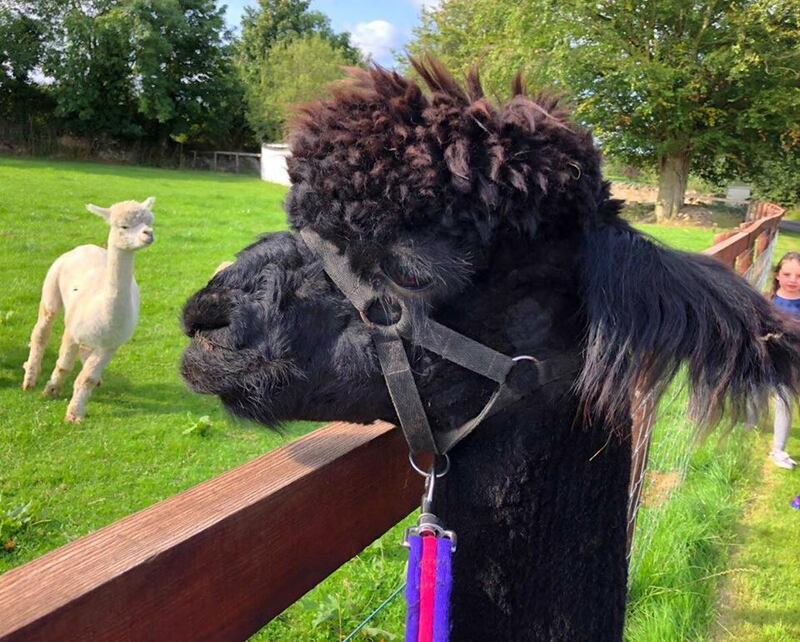 Olivia was happy to have made new friends (if only for a short while) and having the alpacas right on our doorstep was a dream come true for her. 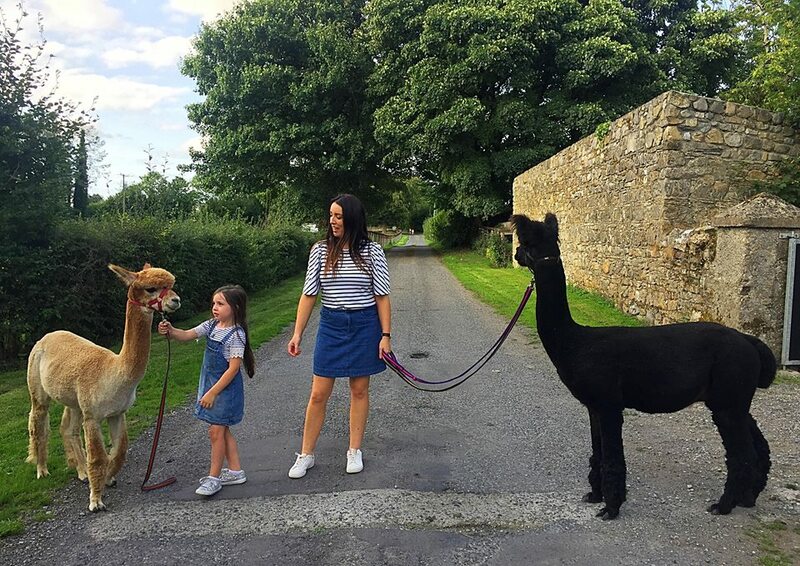 Bringing the Alpacas for a walk was very surreal, Olivia and I were extremely excited about the whole thing, I guess being so close to such an unusual animal would do that. Some of them are used to being on a lead and are happy to walk by your side and enjoy being out and about. We hung out in the paddock for a while introducing ourselves to the gorgeous animals, all individually named which makes them even more adorable. Some of them were brave enough to come and get a closer look at us, the rest preferred to keep their distance. Luckily a lot of them were used to humans and it seemed they were a lot more curious about Oscar than any of the rest of us. Like most babies he was oblivious to what was going on and he was quite happy feeling the grass and taking in his surroundings. Being on the foothill of a mountain meant we had little or no WIFI in the cottage nor a TV. We knew this before we went there and it was just what we wanted for two nights, some quality family time. We did however have music and Olivia’s tablet with some movies already downloaded for when she got bored (we’re not that good that we can entertain her 24/7). But overall we talked more than we would have and spent a lot of our time outside exploring and not just on Hushabye Farm mind – we enjoyed a trip to Birr Castle in Co. Offaly where they have an amazing playground thats well worth a visit and the following day on the way home we visited old castle ruins called The Rock of Dunamase in Portlaoise with amazing views for miles and miles when you reach the top. There’s plenty more to do and see if you didn’t want to stay on Hushabye Farm all day. But I reckon you’ll want to spend as much time there as possible! The cottage is super cosy with a gorgeous modern yet country feel. We enjoyed cooking good food and having a tipple once the kids were asleep. What more could you ask for when you’re in the countryside?! 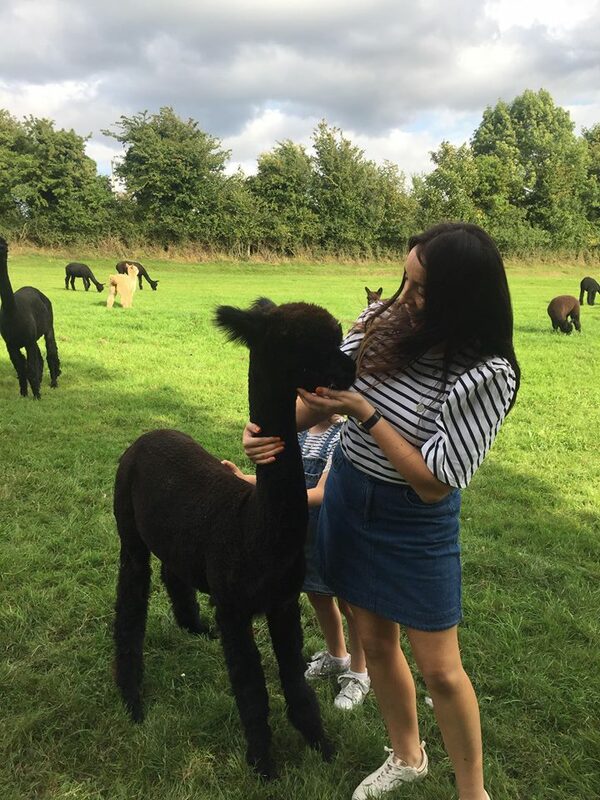 It’s now November and we still talk about our little trip to the alpaca farm and it’s a given that we’ll be booking another short stay there next year. 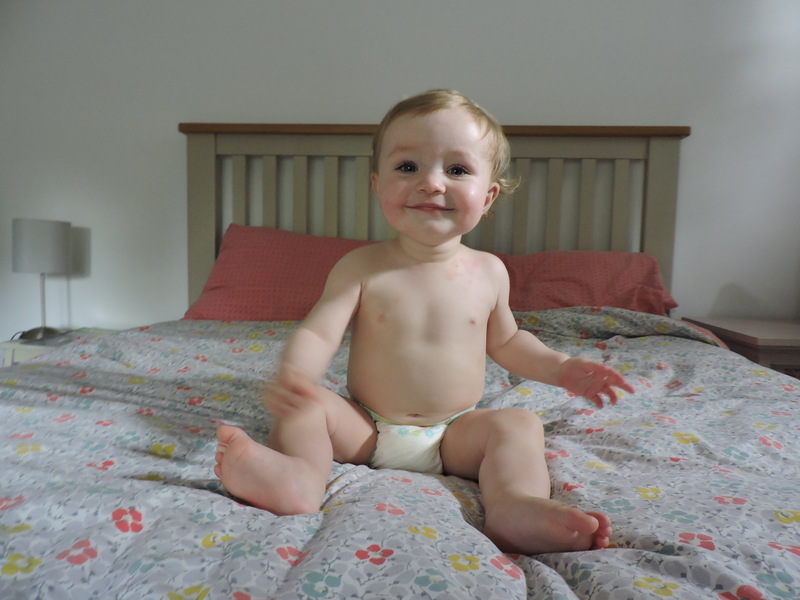 I couldn’t recommend it enough for a couple or a family of four like us. It really is an idyllic spot and a unique experience.